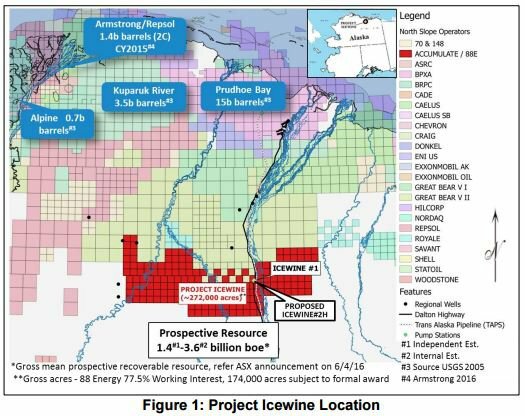 Oil explorer 88 Energy Limited (ASX, AIM:88E) has announced well design completion on its Icewine#2 project and has released preliminary 2D seismic results. Located onshore North Slope of Alaska, project Icewine sits in a region known to hold significant oil reserves. Including the 15 billion barrel Prudhoe Bay oilfield complex, which is the largest conventional oil pool in North America. 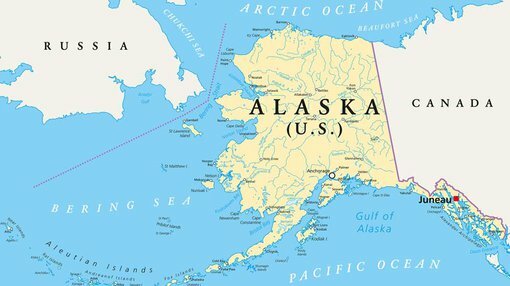 The State of Alaska provides generous exploration incentives with up to 35% of exploration expenditure refundable in cash. Together with joint venture partner Burgundy Xploration, 88E has completed the well design for its Icewine#2 project. It has been decided that a vertical well with a multi stage simulation would be better suited than the originally proposed lateral well. The vertical well design will allow the joint venture parties to test production potential of the entire HRZ/HUE interval and seek a potential resource upgrade, with HRZ remaining the premier reservoir and primary target. Along with an enhanced dataset for landing zone selection for future laterals and a more complex lateral completion, the drilling project is markedly de-risked allowing for increased availability of suitable rigs and as a result offer a more competitive tender process. How competitive the tender process will be is undetermined thus far, so if considering this stock for your portfolio take this point into account with all other information and seek professional financial advice. The new well design is estimated to reduce well completion costs by ~US$5M, as a result 88E is fully funded from its current cash position to finance Icewine#2. Processing of 2D data acquired by 88E using vibroseis (the recorded data from an upsweep or downsweep (increasing or decreasing frequency respectively) are added together and compared with the source input signals to produce a conventional-looking seismic section) is nearing completion with over two thirds of the Project Icewine acreage included in the data. Initial observations of the data indicate the presence of seismic stratigraphic features that are consistent with a potential basin floor fan play fairway. Interpretation of all the data, once processing has been completed, is anticipated to commence later this month, with results to follow in the weeks after. Along with today’s announcement, 88E released a presentation to the market covering the company’s developments in further detail, the presentation can be viewed here.